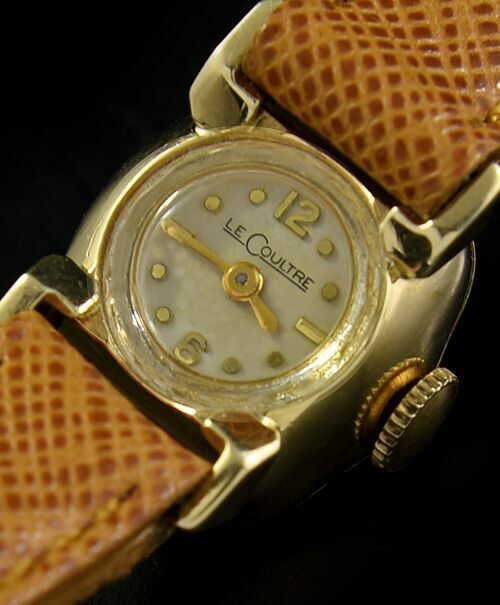 This is an unusual 1950’s vintage LeCoultre ladies cocktail watch. This is a demure piece, measuring 16x18mm. 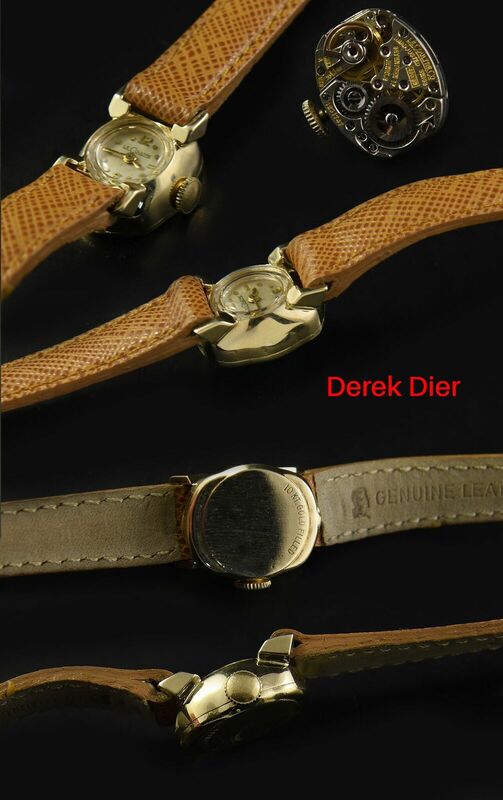 in a gold filled case having highly set lugs which set on top of the bezel. The dial was restored many years ago. The manual winding LeCoultre movement was just cleaned and is accurate. This is a piece of attractive jewelry that will attract many eyes to your wrist due to its very “vintage” appearance.